We met almost eight years ago when a mutual friend introduced us at a holiday party. We exchanged Facebook info, and kept in touch from time to time. Then four years later, Nick commented on one of my photos from a Coldplay concert, and sent a message that he loves Coldplay too, and we should hang out next time there’s a concert. We made plans to attend a music festival together later that month, and it's all history from there. For our anniversary, we decided to go to Sandals Royal Bahamian to celebrate, and Nick proposed, and I of course said “Yes”! Here we are now planning to return to Sandals Royal Bahamian to host our destination wedding! It's been an amazing ride, and we are looking forward to spending the rest of our lives together. We hope you will join us in celebration of our love. Thank you! From the moment we locked eyes eight years ago, I knew Elissa would have a special place in my life forever. I remember how awesome it felt that night when we met … we literally were introduced and spent the whole night standing in the kitchen area, just talking the night away. There was something about her, I knew she was the one. Unfortunately, soon after we met, I moved away for a job opportunity, but I kept in touch. When my career path led me back to my hometown, I was thrilled to reconnect with old friends, especially with Elissa. I made my move through facebook, of course, and we have been together ever since. I am so excited to spend the rest of my life creating new memories. 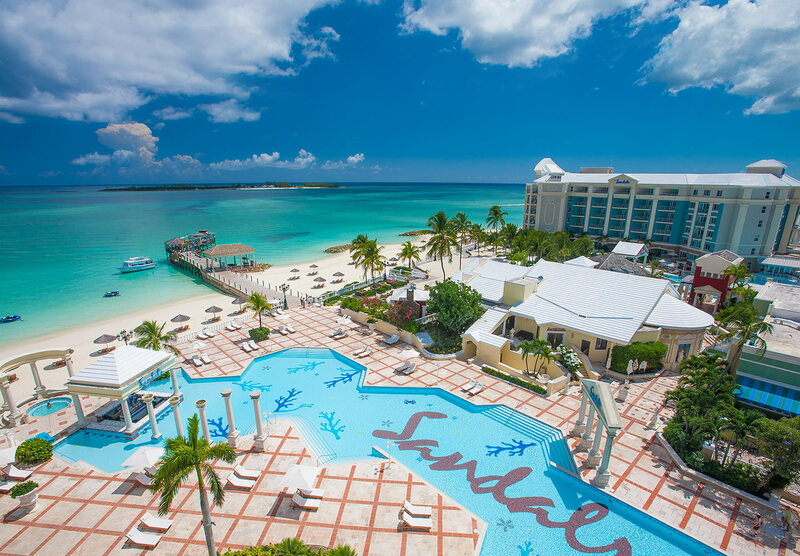 Sandals Royal Bahamian is a blend of European sophistication with an exotic offshore island adventure. Once a favorite of the Duke and Duchess of Windsor, today it offers two sky-sized colonnaded pools overlooking the emerald sea, Global Gourmet dining at 10 specialty restaurants, and an award-winning Red Lane Spa. Experience the royal treatment at this glamorous all-inclusive resort featuring the all-new River Pool Swim-up Suites with butler service, two pristine white-sand beaches, and exclusive VIP airport transfers in a Rolls-Royce or Mercedes-Benz for butler guests. Shoes to go with it!